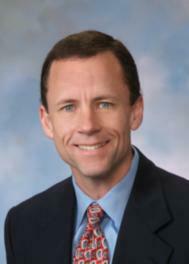 Phil Caulfield is a mortgage loan originator for real estate located in California. He can help borrowers with conforming, jumbo, FHA, VA, commercial, apartment, private money, and reverse mortgages. I am a graduate of Burlingame High School and Santa Clara University with a B.S. in Commerce. I have been originating loans since 1985! I am married to Elizabeth and we have seven children.I enjoy coaching youth sports, exercising, and playing golf. Phil Caulfield NMLS #386911 APMC #1850 has been helping people obtain mortgages since 1985. "The views, articles, postings, and information listed at this website are personal and do not necessarily represent the opinion or the position of American Pacific Mortgage Corporation." Burlingame, Hillsborough, San Mateo, Millbrae, San Bruno, Foster City, Belmont, San Carlos, Redwood City, Menlo Park, Woodside, Atherton, and Palo Alto are the main cities I serve. I am centrally located in Burlingame. I also am able to help clients in San Francisco County, Marin County, Santa Clara County, Contra Costa County, and Alameda County. ★ ★ ★ ★ ★ Phil was able to work with me and my parents to refinance their house. He was transparent and very proactive with information, and while there were some bumps in the road, Phil made navigating those very easy for everyone. I would hire Phil as my broker again for sure! ★ ★ ★ ★ ★ Phil made the tedious process of refinancing so easy. We received updates from him almost daily to ensure that all lender’s requests were fulfilled as quickly as possible. He is a delight to work with, very knowledgeable and professional. ★ ★ ★ ★ ★ Phil has been an amazing person to work with. He responds to correspondence promptly and gets things real fast - be it the loan pre-approval process or actual loan process. We also had RE-fi our loan and he has been really helpful, plus gave us the best interest rates in the market when compared to any other lender. We are now buying an investment property and considering Phil again. No wonder he has gained our trust and respect. "Working with Phil was easy. He was professional and provided us with a great rate when refinancing our home. He also helped my daughter and son in law out with a tough loan on a short sale home. I would recommend him highly." "We have known Phil both personally and as a loan broker for several years. When doing business with Phil he has always been very helpful, knowledgeable and thorough when helping us with our loan needs! Phil also does a great job keeping us informed when rates are changing and continues to update us regularly with valuable financing information....We highly recommend Phil for any of your financing needs!"